AWW stands for A Web Whiteboard, which is exactly what it is. 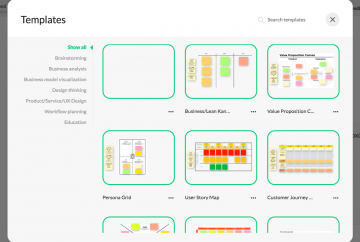 An online digital whiteboard that can be curated by a single or multiple users. This digital whiteboard is device-responsive, web-based, and FREE which means it’s quick to access for multiple users. A teacher can pre-create a board and invite students to brainstorm on it or students can create their own board to be shared. On the digital canvas you can draw, add text, and upload images. You can also use this app to transform your projector into a “smart board” by using the AWW app on your tablet, connecting it to your projector, and then displaying your interactions. Visit the website awwapp.com and it automatically will present you with a blank board. Use a blank page or create an account so it can be saved and revisited. Pre-create a board for students to use OR have students create their own boards. Save the board & export it to a PDF. Share the board with others or keep it private.